As 2016 is approaching, Aria is taking a moment to share some of our coveted inspirations in light of design directions for the upcoming year. 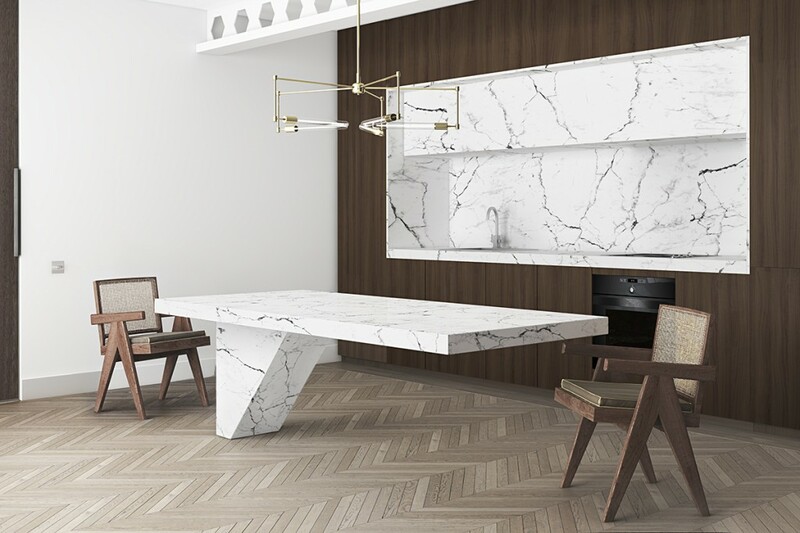 From accents with finish variations, mixtures of natural elements, to uncommon edge trims, the common thread between 2016 directions are based in a monochrome palette with traditional marble accents. 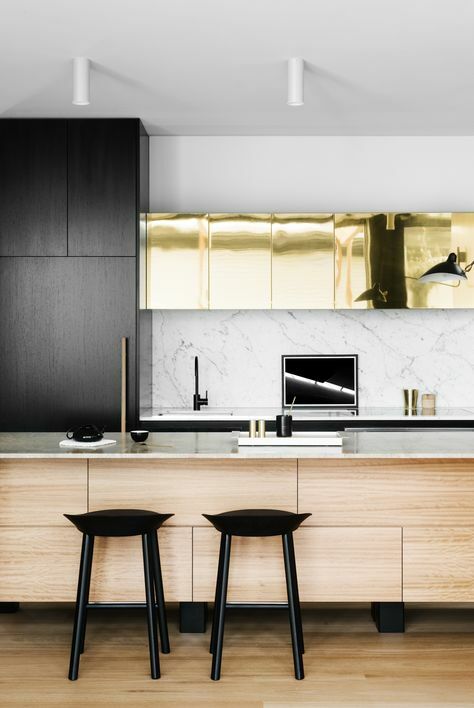 HEAVY METAL – Melbourne designer Fiona Lynch mixes honed marble, matte black fixtures and cabinets, and a polished island with a bold metal statement. 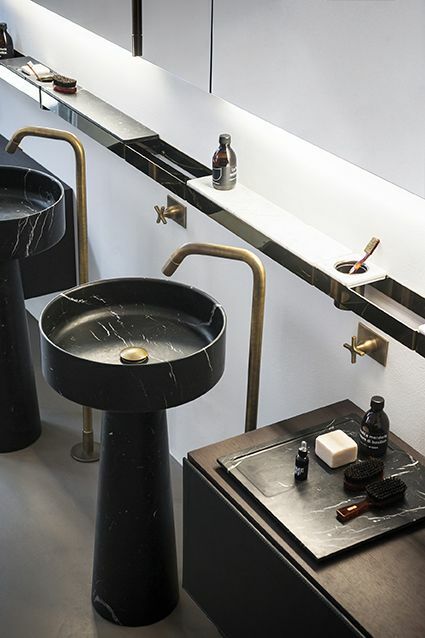 GOLD DUSTED – Black and white, carved marble pedestal sinks complemented by brushed nickel hardware. It’s a case of dusted not highly polished to create a refined composition. 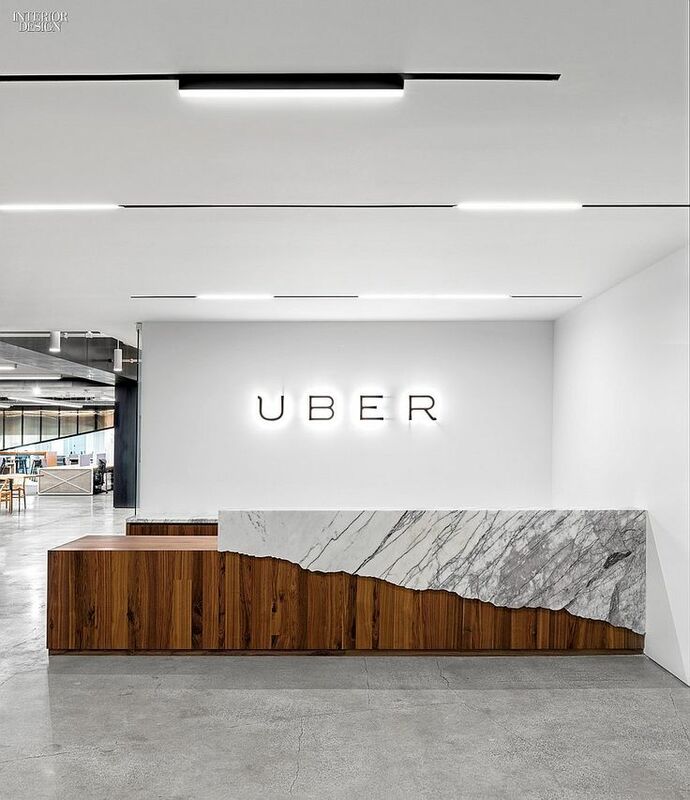 IN THE RAW – One thing is for certain, Over and Above Studio’s 9,000sqft head office project of UBER featuring natural stone design with wooden accents is a refreshing juxtaposition of structural wood edges complemented by a raw, stone overhang for a grand entrance. BALANCING ACT – Katy Schiebeck’s precise angles and science alluding to a perfect balance between elegance and simplicity, literally. Hello to the new Barcelona. 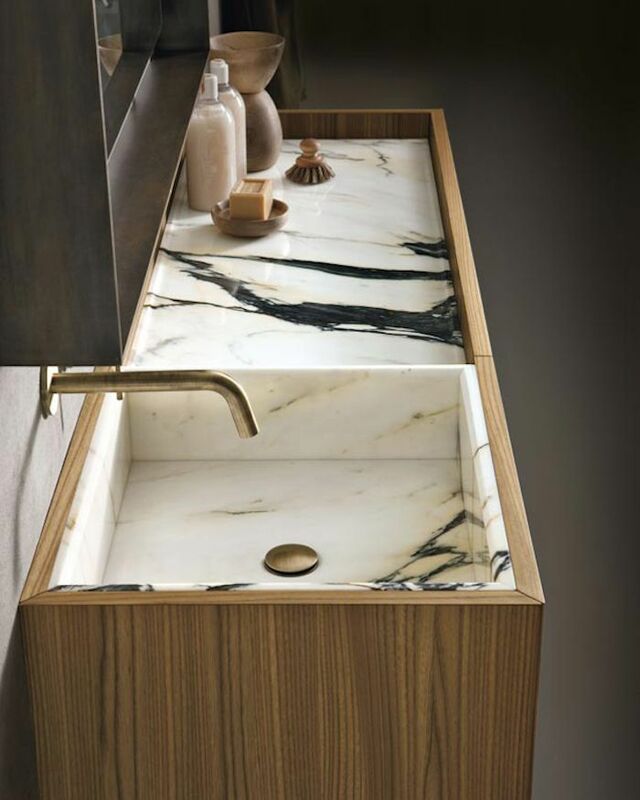 INLAYED – Deep black vein marble contrasted with a white ground encased by natural wood cabinetry for a twist on bathroom sinks makes for a fresh take on sink/cabinet combination sets. 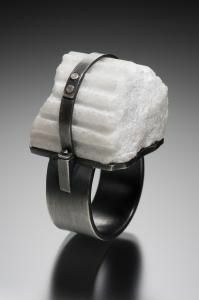 ONE OF A KIND – Hand carved marble, lost wax casting, hand forging and hand fabrication ring by Donna L. Ververka. Shear mastery of attention to hammer marks, burnished edges and contrasts between matte and high polish with a dark patina to emphasize the sculptural qualities. 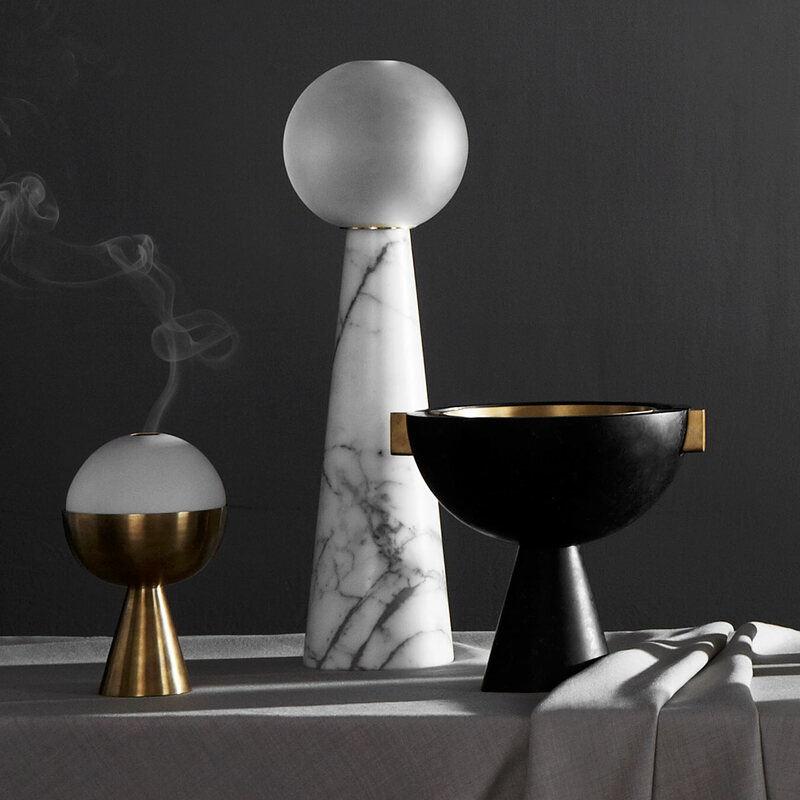 ODD FORMS – Apparatus’ ceremonial objects at their purest, simplest forms inspired by “structural relics and antiquities.” A collection of bold proportions.